The garden commemorates King George V who died in 1936. The King George V Memorial Garden situated at what is known as the Globe corner in High Street has been completed. A cyclone wire fence encloses the area and a very fine pole stands near the entrance with arms for the flying of flags. When planted with flowers and shrubs the Garden will be an attractive addition to the plots that have so long been in the main street, especially when water is available from the town supply in the near future. 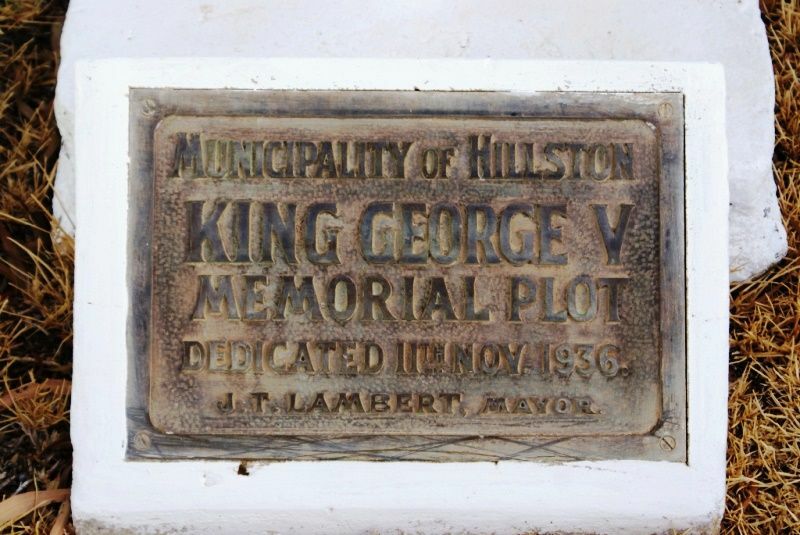 At the meeting of Hillston Municipal Council on Friday last it was decided that the official unfurling of flags on the flagstaff, and dedication of the Memorial Garden, would take place on Armistice Day.